Considering buying your first mandolin? If so, the sheer number of mandolin types, brands, and price ranges may be somewhat daunting. 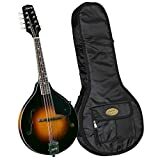 I have purchased two mandolins so far and made a few mistakes in the process. In this article, I will share what I learned so that you can avoid the pitfalls and buy a mandolin you will be happy with. Below you will find 5 easy tips to help you make an informed purchase. 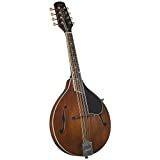 What Type Of Mandolin Should I Buy? Mandolins come in a wide variety of types or styles including A-style, F-style, bowl- back and solid body electric models. A-style and F-style mandolins are by far the most popular types. The A-style mandolin is a simple oval-shaped instrument. The F-style is the mandolin with the fancy scroll (pictured to the right). All things being equal there is little or no difference between the two tonally. The only advantage of the F-style mandolin is that the scroll provides a convenient place to attach your strap. With regards to sound, the primary consideration is the shape of the soundholes. You will find mandolins with either f-hole similar to the violin, or an oval sound hole at the base of the fretboard. Mandolins with f shaped sound holes offer a crisp, clear sound favored by bluegrass musicians. Instruments with oval sound holes provide a rich, mellow tone preferred by many Celtic musicians. Bowl-back mandolins are popular with baroque players and are often seen at Renaissance fairs. Bowl-back mandolins are also frequently used by classical musicians. Solid body electric mandolins are a perfect fit for the guitarist looking to increase their range. This may sound like a salesman’s trick, but I assure you it is not. When I bought my first mandolin, I was enticed by the $39.99 special. What a fiasco! For my $39.99 I ended up with a dull sounding laminated mandolin with a hard sound deadening lacquered finish, an action too high to play comfortably, and a bridge that could not easily be adjusted low enough to fix the problems with the string height. Learning to play on an inferior mandolin can be very discouraging not to mention hard on your fingers. I can guarantee you will be happier and more likely to continue practicing if you purchase a quality entry level, all solid wood mandolin. I was pleasantly surprised when I tried out this mandolin. The Rover RM 50 looks good and sounds better; with the good set-up, it will make a great playing entry level instrument. T-Up it will make a great playing entry level instrument. This entry level mandolin comes with a solid spruce top and solid maple back and sides. The Rover RM 50 mandolin sports a mahogany neck attached to the body with a traditional dovetail joint, bound rosewood fingerboard, compensated bridge, and beautiful abalone inlay all features you would expect to find on much more expensive mandolins. You will be hard-pressed to find a better entry level mandolin for the money. Mandolins for Sale: An A style Mandolin offers the best value for the money. The goal when purchasing a mandolin is to get the best instrument you can for the money you have to spend. As I mentioned before, all things being equal there is no tonal difference between A-style and F-Style mandolins. F-style mandolins look really cool, but you are simply paying a lot of extra money for fancy scrollwork that adds nothing to the sound. If you are not really adamant about having the F-style scroll, you can save a lot of money and end up with a better instrument. The quality of the instrument does influence the sound, so I recommend investing your money in a higher quality A-style Mandolin. Simply put the Kentucky KM-250 Artist A-model is the very best mandolin I have played in this price range. With all of the high-end features, I have a hard time calling this an entry level mandolin, but the price is definitely entry level. You could spend a lot more money on a mandolin that will not match this one in quality. With a hand carved and graduated solid spruce top, hand-carved flamed maple back and sides and high-gloss nitrocellulose lacquer finish this mandolin is a thing of beauty. The Kentucky KM-250 Artist A-model also features a rosewood fingerboard with mother-of-pearl position markers, mother-of -pearl inlay peg head, and high-quality Gotoh Tuners. With the look feel and sound of a higher priced instrument, the Kentucky KM-250 is an excellent value. No matter how you measure it, the Kentucky KM-900 is a top-end mandolin, offering great quality and sound at a great price. Before you buy your mandolin, you need to visit your local music shops and play as many mandolins as you can get your hands on. Try the different types and brands, listen to the sound, and look at the fit and finish. If you find a mandolin in your price range that looks and sounds good buy it. The tonal quality of mandolins even those of the same brand and model vary widely, especially at the entry level. 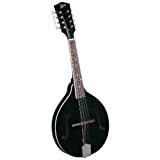 Yes, you can purchase a high-quality mandolin online. I purchased my second mandolin online, and I have been very happy with it. Online musical instrument dealers don’t have the same overhead as brick and mortar stores so in general their instruments are cheaper. Online dealers often provide a wider variety of mandolins than your local musical instrument dealer. There are a couple of things to consider when buying a mandolin online. Not all online dealers set-up your mandolin for you, in fact, most do not. Plan on $75-$125 for a professional set up once you receive your mandolin. The dealer from whom I purchased my mandolin did do the set-up, and it was spot on. If you purchase your mandolin online, you will not get the chance to play or hear it before buying, so it is luck of the draw. Ask the dealer to pick the best of the lot many wills. Do your homework; consider the pitfalls, add in the possible extra costs and if it still looks like a good value buy it. No matter if you buy your mandolin from the local musical instrument shop or online plan on laying out the money for a professional set-up. A good set-up mandolin is much easier and more enjoyable to play, making any money spent on the set-up money well spent. Trust me your fingers will thank you. 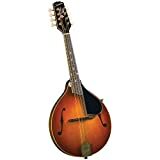 I have been teaching myself to play the mandolin; in the process, I have tried many books, a couple of mandolin tuners, and several mandolin straps, below you will find a few of my favorites. Books are great tools for learning to play, but I would suggest taking a lesson or two as well just to set a good foundation. Trust my bad habits are hard to unlearn. 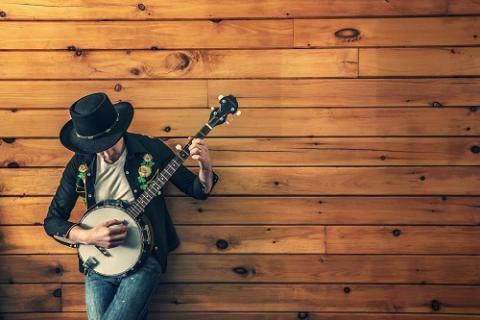 When you purchase your mandolin, the door has been opened to a fun and rewarding hobby. Remember to have fun and keep playing. One last tip, beware of MAS (Mandolin Acquisition Syndrome) it can strike anywhere anytime and can be the somewhat expensive cure. Did You Find The Mandolin Buyers Guide Useful? If so please be sure and share it with your friends. Backlinks are a blogger’s best friend so please be a pal and bookmark this page. Thanks for visiting I hope you found this page helpful. If I missed something, please let me know.